1909 was a year made for adventurous spirits. Within that particular trip around the sun, humans for the first time stood at the North and South Poles, flew over the English Channel, and the Pittsburgh Pirates won their first World Series (pirates = swashbuckling adventures… coincidence, I think not!). Of all the rambunctious ruffians pushing the adrenaline thrills to the utmost extent, however, there was a little group of seven wild souls who took their motorcycles to a crushed stone track in Indiana and left an indelible legacy. On August 14, 1909 they put rubber to the road for the inaugural motorized race at what would become the most famous track on the planet. In honor of the motorcycling history at the Indianapolis Motor Speedway, Scorpion has partnered with the IMS for a limited edition riding jacket and accompanying collection. 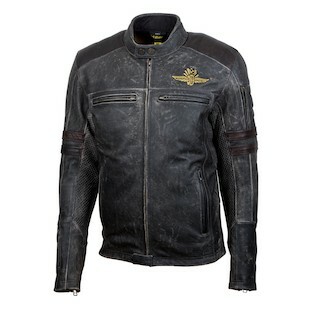 Noted with the wing-and-wheel emblem on the chest, the Scorpion IMS 1909 Leather Jacket is the flagship of the line. It harks to the essence of the fearless, daring, and stylish personalities of those who paved the proverbial path over a century ago. 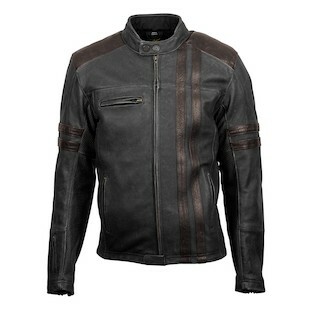 Not to be stuck in the past, however, the IMS 1909 encases modern upgrades such as Sas-Tec CE armor at the elbows and shoulders, removable EverHeat liner with Kwikwick panels, and a padded comfort collar within a highly unique soft distressed leather style. Built to the same specs with intricate style and subtle class, the Scorpion 1909 Leather Jacket offers a vintage inspired piece for those in search of a more understated tone. While the IMS logo has been removed, the construction of the jacket is unchanged. As at place on the bike as it is for a night on the town, the versatility and style of the 1909 is as rare as the ingenuitive, trail blazing history from which it was born. 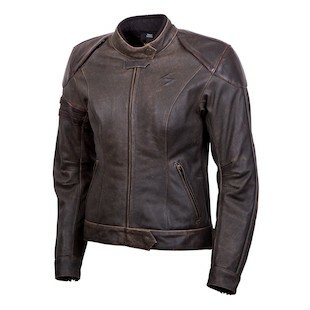 Designed specifically for a Woman’s natural lines, the Scorpion Catalina Leather jacket pulls from the same timeless style as the 1909 jackets, yet with a feminine cut. With 1.2mm distressed leather and antique appearance over the outer shell, the interior boasts reinforced shoulders, Sas-Tec armor, and a quilted EverHeat/KwickWick liner to maintain an accommodating inner climate through a wide variety of climatic conditions. The Scorpion Catalina also utilizes side stretch panels and waist adjustment for comfort and NightViz reflective materials on the arms and shoulders for evening visibility. If you are still reading this blog post there is a very high probability that you have the interior makeup to have been in attendance for that inaugural race. Who knows? You may have even been one of the seven revving their engines at the starting line! While it is an unfortunate characteristic of the space-time continuum, the truth is that at the time of this writing we do not have the capabilities to travel back to eras since past and experience such great events first hand. However, for those among us who feel the allure of rugged, historic motorcycling adventures, Scorpion’s Indianapolis Motor Speedway 1909 jackets are a great start.